-Original Trapdoor Springfields—see our Trapdoor load Other 45/70 options available here. Great round. I was able to cloverleaf 3 shot groups at 100 yards with my 1895xlr. It has noticeably more pop than the lever revolution rounds. Only down side, and the reason for 4 stars, was the brass. There was a noticeable bulge towards the top of the case after firing. I cant wait for deer season to really test the round. Shoots amazing out of my JM 1895 Marlin. Accuracy at 100yrds blew my mind. These rounds were the most accurate of the three different kinds I was shooting. They are however pretty hot, something to note when using a lighter rifle. I would definitely recommend and purchase again in the future. Thank you! Just got back my WWG 45-70 take down tried a lot of ammo in this rifle the best is the 300gr high power made by Steinel Ammo (XCaliber) FANTASTIC loads. I paid $35 a box of 20 for LEVERevoution at Sportsman’s Warehouse. What is that $1.75 per round, what are Xcaliber’s comming in at for price??? It’d probably shoot a 1″ or less if I did, but given that I’m still fairly new and shaky at my 45/70, 1.5″ will have to do. That being said, it shoots much straighter and more consistent than Hornady LeverEvolutions, which used to be my go-to load. Costs less too. I’ll let you know how it turns out when elk season rolls around. Fantastic ammunition, very consistent. I would highly recommended this ammunition to anyone. Super fast shipping, ammo performed better than expected, I will most definitely be ordering more from you guys. I had just purchased my new Marlin 45-70 and was looking for some ammo to try it out. I heard about [Steinel Ammunition Co.] on a forum and decided to give your 300gr hot loads a try. As you can see they were great. I was very pleased with the product arrived within bout 4 days after ordering and in excellent condition. Accuracy was awesome I put 3 inside a quarter at 100 yards. Now their pretty warm far as recoil goes kinda surprised me a little bit so I would keep a tight grip on the rifle when firing cause it will ring your shoulder. I will be ordering from Xcaliber again this fall. 5 out of 5	DEADLY AT BOTH ENDS. These loads are very accurate, and powerful enough to take down any animal in North America. I did get a touch of PTSD from the recoil, but it’s a little gun and a big bullet, so it is what it is. I would not hesitate buying more or recommending to a friend. Finally some fairly high pressure rounds that don’t break the bank to shoot, I love to shoot my big bore but @2.50-3 00/ round for typical hot rounds it looses it’s lustre. With this loading I can enjoy a whole box of big bore thunder with out eating ramen for the rest of the week. This70 jhp ammo shoots clean and consistent out of my CVA scout v2. Not quite as accurate as some hot hendershots custom silvertip, but still within 1.5-2″@ 100yds, so pretty dang good. 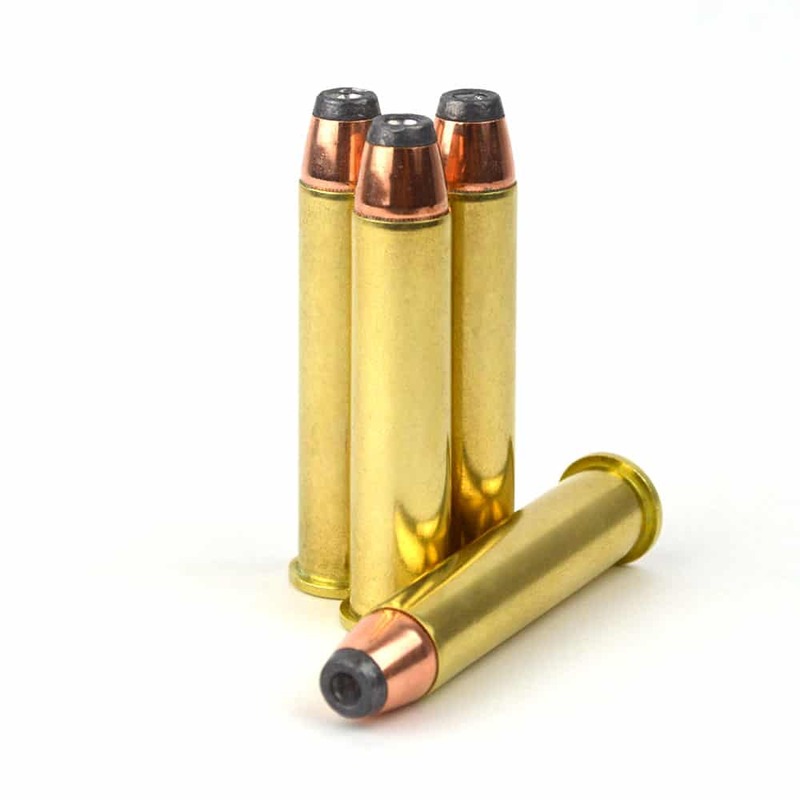 Recoil is the same possibly a touch stouter as the hotter but coated silvertip bullets. Very high quality ammo, will be buying again. Shoots great out of my Henry All Weather 45-70. After buying my marlin, found these online for a great price. Took 5 shots to get sighted in., one shot to take it’s first deer…very impressed with the grouping and consistency of this ammo…Highly recommend!! Fit, finish and function in my Marlin 1895 GBL are all 5 stars. I have much confidence in this round as it penetrated 12″ of lumber during my initial testing.. I get a lot of repeatable shots but not as easy to shoot as a BR varmint caliber. Search the internet for a better value. You won’t find one. The deer I hit with this ammo did not like it. In fact she just laid down an died. Impressive stuff.